Ellis Island sets a daily record for most immigrants processed in one day at 11,747 people. This was also the busiest year for Ellis Island, with over 1 million immigrants received in 1907. Although New York was just serving as a port of entry, many of those who immigrated to the United States made New York City their new home, weaving together the city's multicultural heritage. Today, 36% of the city's population is foreign-born, with Queens being one of the most ethnically-diverse areas in the United States, and more than 800 languages are spoken citywide, making New York City the most linguistically-diverse city in the world. Mickey Mantle makes his major league debut, playing right field for the New York Yankees. He quickly became a star in a succession of historic names that had played for the Yankees, showing his talent both in center field and as a hitter. He would go on to become the highest-paid player in baseball by 1961 and would set a record of games played at 2,401 that would stand until 2011, when the record was broken by Derek Jeter. After retirement, Mickey opened a restaurant and sports bar on Central Park South that proved popular and remained open from 1988 to 2011. In recognition of his accomplishments, Mickey's uniform number was retired from use on June 8, 1969 on what would be known as Mickey Mantle Day. Shea Stadium opens in Flushing Meadows–Corona Park. 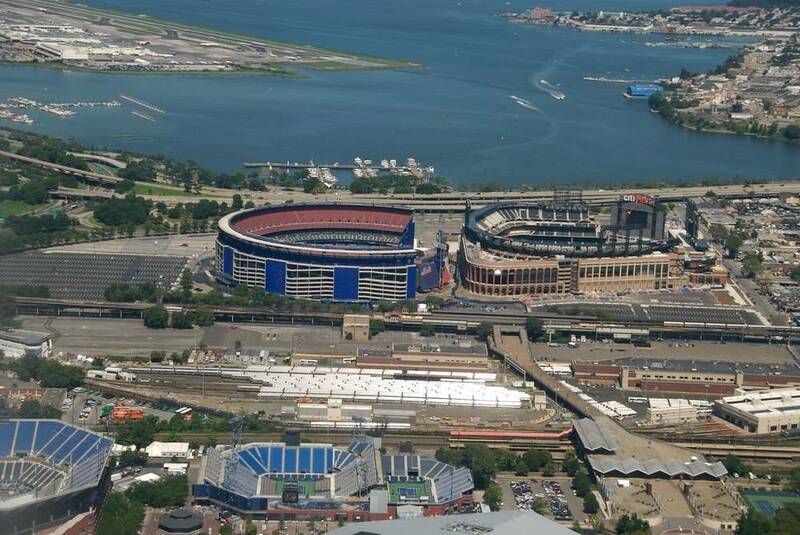 It was the home of the Jets until 1983 and the Mets until 2008 and was demolished in 2009 after the new Citi Field had been constructed. The original locations of Shea Stadium's home plate, pitcher's mound, and bases are marked in the parking lot for Citi Field that was constructed over the original stadium site. A man was taken into custody after attempting to enter St. Patrick's Cathedral with cans of gasoline. The strange event came just days after both a devastating fire at Notre-Dame Cathedral in Paris that investigators think was caused by an electrical short during reconstruction and a string of arsons of historic churches in Louisiana that resulted in hate crime charges against a 21-year-old. 37-year-old Marc Lamparello faces charges not just in the St. Patrick's incident, but also in New Jersey, where two days earlier he refused to leave a Newark church. Before heading to St. Patrick's, Lamparello reportedly purchased a $2,800 plane ticket to Italy that was set to leave the day after he was apprehended outside St. Patrick's. In December, Lamparello had gone to New Jersey police with claims that he was being stalked by a police vehicle outside his home. Officials have made no announcement on whether he has been evaluated as emotionally stable or what compelled his recent church visits.